Helen T. (Sulek) Yurko, 94, of Whitehall and residing at Whitehall Manor, passed away April 16, 2018. She was the wife of the late Frank Yurko. Born in Lansford, she was the daughter of the late Stephen and Helen (Strmensky) Sulek. She was employed in the late 1940’s at the former Kiddie Kloes Clothing Factory in Lansford. Helen was a devout Catholic and a member of St. John the Baptist Slovak Catholic Church. She took great pride in caring for and raising her family. She is survived by her son, Joseph Yurko and was predeceased by her sister, Phyllis. A Mass of Christian Burial will be held on Monday, April 23rd at 10:30AM in St. John the Baptist Slovak Catholic Church 924 N. Front St. Allentown, PA 18102. Burial to follow in Resurrection Cemetery, Allentown. 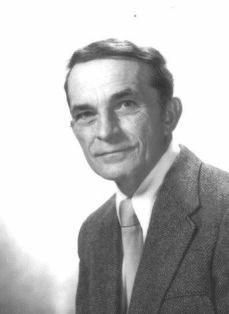 Arrangements care of Kohut Funeral Home, Inc.
Nicholas J. Yackanicz, 87, of Whitehall, passed away November 7, 2017. He was the husband of Gabriella P. (Klocek) Yackanicz for 64 years. He was born in Hazleton and grew up in Beaver Meadows as the son of the late Nicholas and Ann (Super) Yackanicz. He graduated in 1948 from Hazleton High School. Nicholas served in the US Army during the Korean War. Nicholas earned his Bachelors Degree in Commerce & Finance from Bucknell University. While at Bucknell, he played on the undefeated Football team of 1951 and was a member of Simga Chi Fraternity. He worked as an accountant for Trojan Powder Co and then for PP&L before retiring in 1991. He was a member of St. Michael the Archangel Byzantine Catholic Church, where he served as a cantor and was a member of the Holy Name Society. He served as a Youth Football Coach for the Fullerton AA for many years. Nicholas was a member and on the Board of Directors for the Fraternal Greek Catholic Union. He was an avid bowler, fisherman and gardener. He loved music, singing and sports, especially the Yankees. Survivors: wife- Gabriella P. Yackanicz, children- Susan Stafura w/o Paul of West Mifflin, Mary Karch w/o Kaj of Easton, Nicholas Yackanicz Jr. h/o Lori of Emmaus, James Yackanicz h/o Sandra of Bethlehem, Joseph Yackanicz h/o Jennifer of Ambler, Michael Yackanicz h/o Lisa of South Carolina, John Yackanicz h/o Linda of Schwenksville; 21 Grandchildren; 10 Great Grandchildren; siblings- Maryann Peters, Carl Yackanicz and Greg Yackanicz. He was predeceased by his granddaughter- Leann and brother- Paul. A viewing will be held Friday 6-8PM and Saturday 9-9:30AM in Kohut Funeral Home, Inc. 950 N. Front St. Allentown, PA 18102. Office of Christian Burial with Divine Liturgy will be held Saturday at 10AM in St. Michael Byzantine Catholic Church 156 Green St. Allentown, PA 18102. Burial to follow in the parish cemetery. Contributions can be made in Nicholas’s memory to the church care of Kohut Funeral Home. Beloved daughter and sister, Patricia A. Yastrop, 62, of Bethlehem, passed away February 1, 2016. Born in Allentown, she was the daughter of the late John and Mary (Kalivoda) Yastrop. She was of the Christian Faith. Survivors: Sister- Susan and husband Robert Cooper of New Tripoli; Brothers- John and wife Marie Yastrop Jr. of Catasauqua, Thomas and wife Janet Yastrop of Northampton; Nieces and Nephews- Margaret, Jeffrey, Mark, James, Rebecca, Amy and Kathryn; Great Nephews- Sam and Charles; Great Nieces- Abigail, Katrina and Rachael. She was predeceased by her sister- Bernadine Hoch. Services: A memorial service will he held for family and friends in the summer. In lieu of flowers, donations can be made in Patricia’s memory to ARC 2289 Ave A Bethlehem, PA 18017 or to Life Path 3500 High Point Blvd Bethlehem, PA 18017. Frank J. Yurko, 96, of Whitehall, passed away September 29, 2015 in Sacred Heart Hospital. He was the loving husband of 64 years to Helen T. (Sulek) Yurko. Born in Summit Hill, he was the son of the late Michael and Mary (Fucik) Yurko. He served with the 1345th United States Army Air Force Air Transport Command during WWII. Frank was employed by Fauzio Brothers at their coal stripping operations in Carbon and Schuylkill counties and later was a shop clerk at Mack Trucks in Allentown from 1957 to 1983. He was a member of St. John the Baptist Slovak Catholic Church. His greatest enjoyment in life was providing for his family. Wife- Helen T. Yurko and Son- Joseph Yurko with whom he resided. He was predeceased by brothers- Joseph and Michael and Sister- Veronica. Mass of Christian Burial will be celebrated at 11AM on Wednesday Oct 7th in St. John the Baptist Slovak Catholic Church 924 N. Front St. Allentown. Burial to follow in Resurrection Cemetery, Allentown. 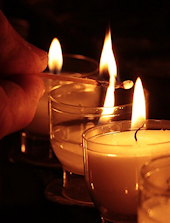 Arrangements care of Kohut Funeral Home, Inc.
Paul F. Yaromy, 74, of Allentown, passed away February 10, 2015. Born in Allentown, he was the son of the late Metro and Mary (Barner) Yaromy. Paul served in the U.S. Marines. He retired from Mack Trucks after 24 years of service. Paul was a member of St. Michael the Archangel Byzantine Catholic Church. He loved nature, animals, hunting and fishing. 2 Children; Sisters- Patricia Benson, Caroline Bender and Helen Getz; niece and nephews. He was predeceased by his grandson, sisters- Anna and Evelyn and brother- George. A Memorial Service will be held on Friday at 1PM in Kohut Funeral Home, Inc. 950 N. Front St. Allentown 18102. Burial to follow in the parish cemetery. In lieu of flowers, donations can be made in Paul’s memory to the American Cancer Society. 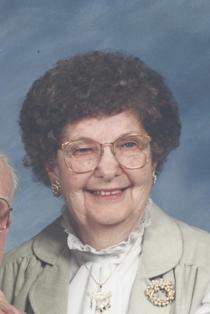 Mary P. (Hresan) Yatsko, 97, of Whitehall, passed away surrounded by her loving family on October 26, 2014 in Fellowship Manor. She was the loving wife of the late Francis J. Yatsko. Born in Nesquehoning, she was the daughter of the late Andrew and Mary Hresan. Mary was previously employed by the Navy Yard in Philadelphia before retiring to stay at home and raise her family. Mary was a member of St. John the Baptist Slovak Catholic Church. She had volunteered previously at St. Elizabeth’s Catholic School. 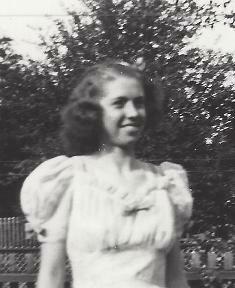 She was predeceased by her Daughter- Francine Yatsko and Siblings- John, Andrew, George, Joseph, Michael and Margaret Lukac. A viewing will be held on Thursday 9:30-10:30AM in Kohut Funeral Home, Inc. 950 N. Front St. Allentown, PA 18102. Mass of Christian Burial to be celebrated at 11AM in St. John the Baptist Slovak Catholic Church 924 N. Front St. Allentown, PA 18102. Burial to follow in the parish cemetery. In lieu of flowers, donations can be made in Mary’ memory to the church. taken to eternal peace in the house of the Lord. parks and playgrounds; later working on and building muscle cars with the "gang"
promoted to their "Angel on their shoulder." retired from Merck Pharmaceuticals, West Point, PA.
Daughters- Tonya A. Donnelly and husband Thomas of New Providence, NJ, Tia M.
P.S. Bob's silver chariot is believed to have had black stripes! Peter Yaremko, 75, of Cape Girardeau passed away Monday, October 8, 2012, at his home after a very brief battle with cancer. He was born November 10, 1936, in Berlyn, Western Ukraine, to Mykola and Maria (Martyniuk) Yaremko. He and Mary Goletz were married August 8, 1970. 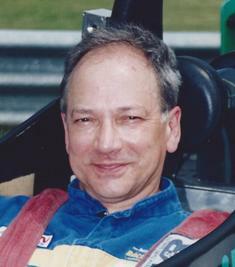 Peter attended La Salle University in Philadelphia earning his Undergraduate Degree and then attended Indiana University in Bloomington, IN earning his Postgraduate Degree. He was a member of St. Josaphat’s Ukrainian Catholic Church in Bethlehem, PA., and attended St. Mary’s Cathedral in Cape Girardeau, MO. He is survived by his wife, Mary; daughter and son-in-law, Alexandra (Yaremko) and Steve Laurence and their daughter, Eva, Springfield, MO; son, Mike Yaremko, Cape Girardeau, MO. ; sister, Stephanie Yaremko, Tamaqua, PA.; brother, Jerry ( Nadine) Yaremko, Palmerton, PA.; brother-in-law, Ted (Connie) Goletz, Bethlehem, PA and brother-in-law, Ihor Peter Goletz, Brookhaven, PA; as well as many nieces and nephews in the United States and Ukraine. He was preceded in death by his parents; his parents-in-law, Mychajlo and Stefania Goletz; sister Oksana Yaremko; brother and sister-in law, Mychajlo and Eugenia Yaremko; sister and brother-in-law, Anna (Yaremko)and William Naydan; and sister-in-law, Olesia Goletz. A viewing will be held on Friday 8:45-9:30AM with a Panachyda at 9:30AM all in Kohut Funeral Home, Inc. 950 N Front St. Allentown, PA 18102. Office of Christian Burial will be celebrated at 10:30AM in St. Josaphat’s Ukrainian Catholic Church 1826 Kenmore Ave Bethlehem, PA 18018. Burial to follow in St. John the Baptist Ukrainian Catholic Cemetery, Northampton. In lieu of flowers, the family requests Masses in his memory or memorial donations to St. Josaphat's or to Food For the Poor (6401 Lyons Rd, Coconut Creek, FL 33073). He will be greatly missed by his family and friends, especially his “favorite” grandchild, Eva.